If you’re the kind of person who loves to braai, be thankful you’re not Swiss. In Switzerland, people pay by far the most for beef, chicken, pork, lamb and fish – more than anywhere else in the world. According to an international food price index, Swiss meat prices are about 142% higher than the global average. In South Africa, meat is on average 20% cheaper than the world average. When it comes to beef, the Swiss pay 149% more than average, followed by Norway (63.7% more) and Hong Kong (61% more), while Ukrainians pay 52.3% less for beef than the world average and Malaysians 50.3% less. 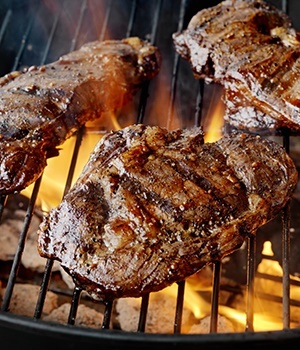 South African beef costs 45% less than the world average, according to the survey, which was conducted by international catering supplier Caterwings. The survey was conducted in more than 50 countries by comparing the price of 1kg of beef (steak, fillet and mince), chicken (a quarter chicken or fillets), pork (chops, sausage and ham), lamb chops and seafood (white fish, salmon and prawns). The Swiss pay 222% more than the global average for chicken, 173% more for lamb, 115% more for pork and 49% more for seafood. In South Africa, the price of pork, lamb and chicken are, respectively, 35%, 23% and 10% less than the world average, but seafood is 12% more expensive. But before you start feeling too sorry for Swiss meat lovers, remember that they only have to do three hours of minimum wage work to afford the beef cut of their choice. In Denmark, it’s just one hour, while those in Indonesia have to put in more than 23 hours of work at minimum wage rates. In South Africa, you have to do six hours of work to afford 1kg of beef fillet, but for more expensive seafood, you’d have to work for thirteen hours and for chicken, three hours. The three cheapest countries in which you can buy lamb in the world are Colombia, Mexico and Brazil. Ukraine, Thailand and Malaysia have the cheapest chicken prices. Susannah Belcher, the managing director of Caterwings, said in a press statement that the findings were very interesting. India, for example, has some of the lowest meat prices in the world, but a person earning minimum wage would have to work almost a whole week to afford a piece of meat. In Norway, the same piece of meat can be purchased with just one hour of work. The survey clearly shows that there are major inequalities when it comes to meat prices. “As the world begins to rethink the implications of globalisation, this study clearly demonstrates that food prices ought to be on the agenda,” Belcher said. In South Africa, meat prices are still rising the fastest of all food prices, increasing by 10% on an annual basis. However, this is considerably less than the 15.6% meat price inflation that was seen in September last year and more than a percentage point lower than 11.4% in February. Caterwings looked at the top meat producing and consuming countries around the world, focusing on beef, chicken, seafood, pork and lamb. After reviewing hundreds of food retailers, the data was compiled by analysing meat prices in these countries’ top cities, which needed to account for at least 25% of the total population. The index was then ranked by the deviation percentage, which shows how comparatively affordable or expensive each meat type is in each country in comparison with the global average cost.